This fur and black leather hunting sporran is made in Scotland. It has no tassels, but does come with 5 raised leather 'leaves' and an intricate circular design. It has a fur panel under the leaves to 'dress it up' a bit and to help make those leaves stand out. This sporran also comes with a sporran chain to fit the waist measurement provided. 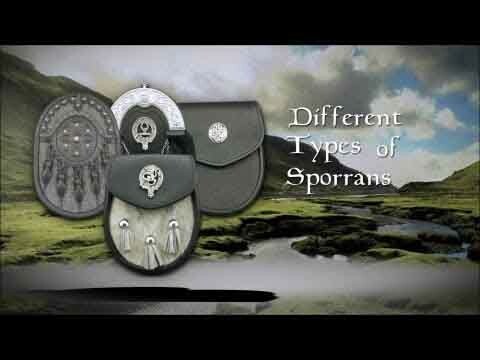 Stunning quality and workmanship J.
I am quite partial to the hunting style of sporran. I think it looks better than any other semi-dress sporran, and it worked perfectly paired with the argyll jacket and vest for a banquet. It also looks great at the cigar lounge with a polo shirt. Short of an event with tuxedos, I don't see any place you couldn't wear this. Good quality leather, business or credit card holder inside, and a decent amount of room. The only thing to be mindful of is that the 'leaves' are stitched down at the tips rather than studded, so if something gets underneath and snags one of the leaves, a sudden jerk could undo the stitching. 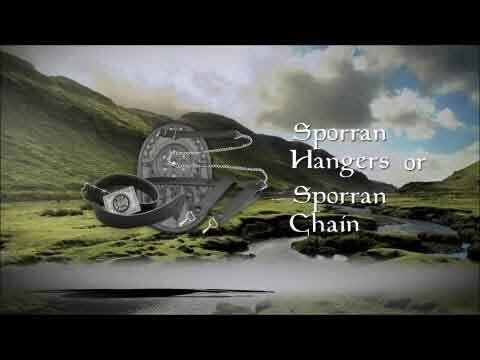 This sporran is well worth the price, especially considering the versatility. And, as always, the service is simply amazing.